The purpose of the Crime Victims Compensation Act is to provide a method of compensation for victims of violent crime. All funds come from federal and state offenders through fines and penalty assessments. An arrest of the offender does NOT have to take place in order to be eligible to file a claim; however, the victim and/or claimant is expected to fully cooperate in the apprehension, investigation, and prosecution of the perpetrator. The claimant is also expected to fully cooperate with the District Attorney's Office and Victims Compensation Board staff during the processing of the claim. Back to Top. The Crime Victims' Compensation Program was created in 1981 with the passage of the Crime Victims' Compensation Act(click here for a copy of the Act). The Act established guidelines for eligibility and the provision of financial reimbursement to victims of crime. Program guidelines were established with the first payments being made for crimes that occurred after October 19, 1981. The Oklahoma District Attorneys Council has administered the fund since the inception of the program. Back to Top. The process begins with the victim or claimant filling out the claim form (click here to type-in and print the official claim form, or click here to print out claim form and write-in), and ends with a decision by the Crime Victims Compensation Board or Administrator. Once the claim is completed and mailed to the Crime Victims Compensation Board headquarters, the staff logs the claim into the database and assigns a claim number to the application. The claim is then forwarded to the appropriate District Attorney's office Victim-Witness Coordinator for further processing. 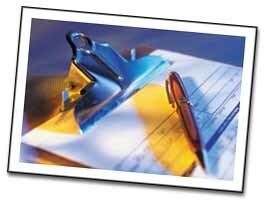 Contact information and a claim number is sent by mail to the claimant after the claim is logged in. The Documentation process is carried out by the Victim-Witness Coordinator in the District Attorney's office. A police report is requested, along with any other forms and reports that may be needed to determine out-of-pocket expenses. After the Victim-Witness Coordinator gathers all necessary information, the completed claim is forwarded back to the Crime Victims' Compensation Program for decision. Claims usually take several months to complete due to all of the documentation that is required. Click here to search for the status of a claim. The crime must have occurred in Oklahoma. The crime must have been reported to law enforcement within 72 hours of the incident. The Board or administrator may find good cause for failure to report within this period. Exceptions are always made for child victims. The claim for compensation must be filed within one (1) year of the crime-related injury of the victim. The one (1) year deadline may be waived and extended to two (2) years for good cause, and may be extended beyond two (2) years only in child sexual assault cases. In no event can other claims be extended beyond two (2) years. The claimant is required to fully cooperate with the police, prosecution and other law enforcement entities during the investigation and prosecution of the offender. Compensation shall not be awarded to a claimant if it would benefit the offender or an accomplice, and the claimant must not have been the offender or accomplice. Compensation that could be awarded to a claimant shall be reduced or denied, depending on the degree of responsibility for the injury or death that is attributable to the victim. Once all documentation is received from the Victim-Witness Coordinator in the District Attorney's Office, the claim is assigned to a CLAIMS EXAMINER located at the Crime Victims Compensation Board head-quarters. The Claims Examiner reviews the documentation of losses provided by eligible victims and claimants and determines the compensable amount on the claim. Claims with expenses under $10,000.00 are then decided by the Administrator of the program. Claims over $10,000.00 are decided by the three-member Governor appointed BOARD. Claims are generally placed on a docket for decision within 30 days of receipt of all documentation from the Victim-Witness Coordinator. If additional information is needed, the claim may take longer than 30 days to docket. The Crime Victims' Compensation Fund is the PAYER OF LAST RESORT. Expenses that are paid or eligible to be paid from other sources such as: health insurance, Medicaid, Workers' Compensation, Medicare, and Indian Health Services may not be compensated. Employer paid leave programs are also considered a collateral source when applying for work loss; and Social Security benefits are a collateral source when applying for loss of support. PAYMENTS are generally made within three weeks of approval. Payments are sent directly to service providers on outstanding balances at a rate of 80%. Medical, dental, and counseling service providers are required by law to write off the remaining 20% if they accept payment from the Crime Victims Compensation Board. Medical, dental, and counseling expenses that the victim is out-of-pocket will be reimbursed at 100%, provided there is documentation of payment and no collateral sources exist. If an application is DENIED, the victim or claimant is given a written explanation and instructions on how to exercise their right to APPEAL. The first appeal is to the Board. If a victim or claimant is still dissatisfied with the decision, the second step in the process is to file a petition in District Court. Back to Top. Funeral - Up to $7,500.00 may be reimbursed for expenses related to the funeral, cremation, or burial of a deceased victim. Future Economic Loss - Needed services which cannot be obtained without prior approval of the victims compensation claim or payment in advance from the victim. To submit a request for future economic loss, include an itemized list of the expenses you expect to incur, along with an explanation regarding the expense. If the expense is for dental work or surgery necessary to repair damage from the criminal incident, ask the attending physician to write an accurate estimate which clearly states the work to be performed and the cost. The attending physician should relate, in writing, the need for medical treatment due to injuries sustained during the crime. Income Loss - Loss of income from work the victim would have performed if he/she had not been injured. Work loss must be verified by the employer and the attending physician. Effective July 1, 1999, caregiver work loss can be awarded up to $2,000.00, if the work loss is verified by the victim's physician and an employer's certificate from the caregiver's employer is filed. Caregiver work loss may only be awarded to persons who have non-reimbursed wage loss due to caring for an injured victim of crime. Loss of Support - In the event of the death of a victim, the Board may consider providing reimbursement for loss of support to a dependent based on the victim's net income at the time of death, less any collateral sources such as: Life insurance (over $50,000.00), Social Security, Worker' Compensation, uninsured motorist coverage, or 3rd party reimbursements. Monthly installments or a lump sum award is at the discretion of the Board. Medical/Dental - Includes products, services, and accommodations for medical care (Examples: doctor exams, dental work, hospital treatment, hospital stay, artificial limbs, prescriptions, and eye glasses). For crimes occurring on or after July 1, 2004, medical related fees will be paid up to 80% of the maximum allowance. For crimes before July 1, 2004, medical related fees could be paid up to 100% of the maximum allowance. Rehabilitation - Includes such things as physical and psychological therapy, rehabilitative occupational training, and other remedial treatment and care. Counseling for Victims - For crimes occurring on or after July 1, 2004 there are no fee schedule limitations. The maximum compensable amount for the victim's counseling is $3,000.00. This limit may be waived by the Board in extenuating circumstances. Although the Board no longer has a fee schedule for counseling, victims are advised to seek treatment from a licensed mental health professional. For crimes occurring before July 1, 2004 there was a fee schedule as follows: Psychiatrist (M.D. ), $110.00; Psychologist (Ph.D.), $100.00; Social Workers, Licensed Professional Counselors, or Marital and Family Therapists (ACSW, LSW, LCSW, LPC, LMFT), $60.00; and Masters in Social Work (MSW), $35.00 (only if MSW works in licensed facility under supervision of a qualified mental health professional). A session is presumably the standard 45 minutes. Grief Counseling - For crimes occurring on or after July 1, 2005, crisis counseling that is initiated within three years of the crime is compensable, up to $3,000.00 for each family member of a homicide victim, provided the counselor is a qualified mental health care provider. Medical and pharmaceutical treatment for a family member of a homicide victim is not compensable. For crimes occurring between July 1, 2000 and June 30, 2005, there is a $500.00 per family member counseling limit, not to exceed $3,000.00 per family of a homicide victim; counseling must have been initiated within two years of the incident. For crimes occurring between July 1, 1999 and June 30, 2000, there is a $500.00 per person and $1,000.00 per family limit; counseling must have been initiated within 120 days. Crime Scene Cleanup - Crime scene cleanup can be covered up to $2,000.00, effective November 1, 2009. Replacement Services - Expenses reasonably incurred in obtaining ordinary and necessary services in place of those the victim would have performed for the benefit of self or family, if the victim had not been injured. Back to Top. The program's ability to provide financial assistance to crime victims is directly related to the health of the Crime Victims' Compensation Fund. Through a partnership that includes the Legislature, the Courts, the District Attorneys Council, individual elected District Attorneys, crime victims, and crime victim advocates, revenues to the fund are sufficient to meet the ongoing financial needs of victims at this time. For more funding information and sources click here. When demands on the Fund limited awards, the State Legislature and Governor increased the revenue sources for the Fund. The key to this program's success has been the continuous effort to focus on the needs of the victim. While the citizens served have faced trauma, tragedy and financial loss due to the criminal acts of others, no two victims' experiences are the same. Staff training on victim issues is a priority and ensures that each claim is handled with attention to the individual's unique experience and needs. Training is offered which highlights the program and the rights of victims to local service agencies, criminal justice professional and health care providers. Professionals from these groups have shared valuable insights on how the program can better meet victims' needs. By working with the Legislature to put victims first, and by remaining true to the statute that created this Fund, success and stability has been achieved. While the Crime Victims' Compensation Program is proud of its past and the productivity it has achieved, we are committed to making every effort to ensure that victims continue to receive all possible assistance from this program, as defined by statute. We encourage staff to find creative and simple ways to reduce their workload by using technology. We work closely with those receiving grants from the Victims of Crime Act fund to ensure that helping crime victims obtain compensation is given high priority. We are confident about our future, and committed to enhancing the level of service that people have come to expect from the Crime Victims Compensation Program and the Oklahoma District Attorneys Council. Back to Top. For a copy of the Rules and Regulations for the Crime Victims Compensation Program, click here.